The Frederick and Edith L. Massiah Papers were donated to the University Archives by Louis J. Massiah in August 2011 (Accession # 2011:048). The Frederick and Edith L. Massiah Papers are organized into three series: Business Papers, Family Papers, and Awards and Certificates. The material within each series is arranged alphabetically. 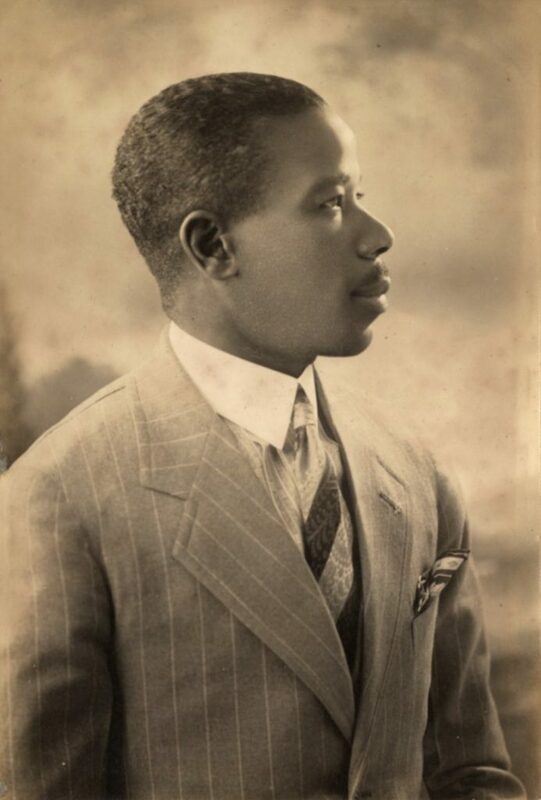 Frederick McDonald Massiah was born in Barbados, West Indies on December 12, 1886. After emigrating to the United States in the early part of the Twentieth Century, he started his career working as a laborer by day, and studying architecture at night. He attended the Pennsylvania School of Fine Arts, and earned a degree in Civil Engineering from Drexel Institute (now Drexel University). By the start of the 1920s Massiah had opened his own contracting business in Philadelphia. Massiah was one of the first successful African-American contracting engineers in the United States; establishing a business during a period when it was nearly impossible for minorities to obtain financing, insurance, and acceptance in the trade unions. At the time, Massiah became a leader in the use of reinforced concrete in building construction, starting with the Walnut Park Plaza Apartments in 1927. His work on this project led to Massiah wining the William E. Harmon Foundation Medal for Engineering in recognition of outstanding beam and girder work, and it was cited as a model by the Philadelphia city engineers to the University of Pennsylvania’s engineering program in the Towne Scientific School. Having established his firm’s reputation, Massiah went on to a 45 year career receiving numerous private and government contracts. This included the elliptical dome of the Ascension of Our Lord Church, the William Donner X-Ray laboratory at the University of Pennsylvania, the Trenton Sewage Disposal Plan, The Capehart Housing Project at Fort Meade, MD, and the Morton Housing Development. Massiah was a member of the Phi Beta Sigma Fraternity, the Philadelphia Chamber of Commerce, the Masonic Order, and the National Association for the Advancement of Colored People. Massiah became a U.S. citizen on April 29, 1931. He died on July 7, 1975. Edith Lamarre Massiah was born in Port-au-Prince, Haiti on June 18, 1918. She was educated in Haiti at the Ecole Normal and was awarded an academic scholarship to study at Ohio State University in 1946. Mrs. Massiah went on to earn a bachelor’s degree in education from St. Joseph’s University and a master’s in social work from Temple University. Between 1965 and 1975 she taught French at the Baldwin School in Bryn Mawr, PA. Mrs. Massiah also worked as a social worker in Philadelphia for the Department of Public Welfare, the North Central Philadelphia Mental Health and Mental Retardation Community Center, and Catholic Services. Her and Frederick married in 1950 and had two sons, Allen and Louis; and a daughter, Frederica. Edith Massiah died on May 5, 1991. The Frederick and Edith L. Massiah Papers documents the professional activities of Frederick Massiah as a contract engineer and business man, as well as the Massiah Family life in Philadelphia. The collection is organized into three series: Business Papers, Family Papers, and Awards and Certificates. Business Papers is the largest series of the collection – and documents Frederick Massiah’s professional activities – including financial matters, real estate properties, contracts, and construction projects. Documentation of his construction projects includes contracts, correspondence, and photographs – though the depth of documentation varies by project. The most extensively documented construction projects in the collection are Best of Life Park in Atlantic City, NJ, Brookville Apartments in Trenton, NJ, Capehart Housing Project in Ft. Meade, MD, and Trenton Sewage Treatment Plant Additions in Trenton, NJ. The Family Papers series provides a look at the life of an African-American family living in mid-Twentieth Century Philadelphia. Frederick’s funeral in 1975 with related condolences from family and friends is well documented. The collection also provides insight into the financial, education, and social aspects of the family. Blank Apartment Lease Agreement, n.d.
Blank Lease Agreement Form, n.d.
1416-18 South Penn Square, n.d.
2034-54 Waverly St, Photographs, n.d.
60th and Ludlow Photographs, n.d. Apartment Building 19th and Panama Sts Photographs, n.d.
Atlantic County Hospital for Metal Diseases Northfield, NJ, Photographs, n.d.
Browning King Co. Photograph, n.d.
Church of the Ascension F and Westmorland Streets Photographs, n.d.
Hamilton Township Sewage Disposal Plant Photographs, n.d.
Lakeland Institution Power Plant Photographs, n.d.
Mastbaum Bros and Fleisher Photographs, n.d.
Shipside Wilmington, DE Photographs, n.d.
Steel and Reinforced Concrete Service Station Photograph, n.d.
Taubel Stocking Factory, Camden Photograph, n.d.
Water Tower Reading Company Photograph, n.d.
2010-16 Pemberton Street Photographs, n.d.
Memorial Friends Messages and Gifts, n.d.
Philadelphia Chamber of Commerce Membership, n.d.